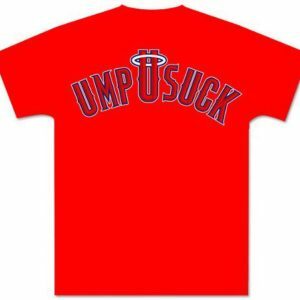 I have been blogging about tailgating for over a year now. 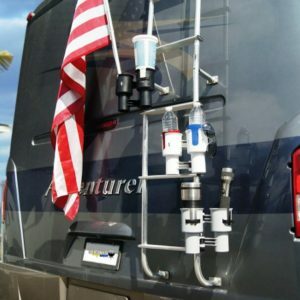 Very rarely do I come across a tailgating accessory that makes me say, “Oh my God! 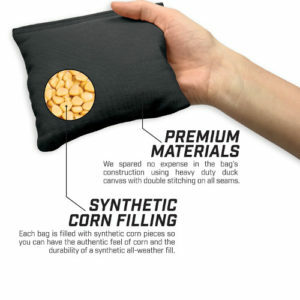 That is the coolest thing ever!” Well, today was one of those rare days. 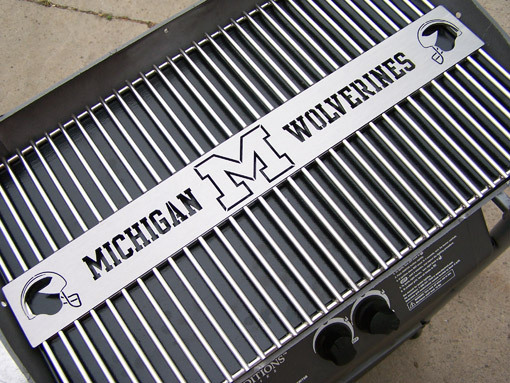 I discovered YM Sports Grates and you guessed it, they manufacture stainless steel grill grates with your Alma Mater’s logo laser cut right into them. 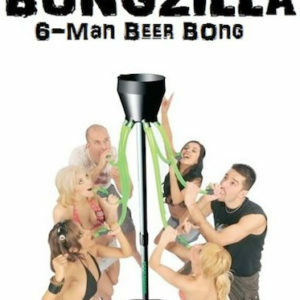 This concept is the brainchild of Matt Yarder, a 26 year old, fourth generation metal fabricator from Toledo, Ohio. Yarder comes from a long line of metal fabricators starting with his great grandfather who started the company in his garage in the 1920’s and 30’s. Matt’s great grandfather made tool boxes and sold them to the auto workers on the corner of Tiger Stadium. 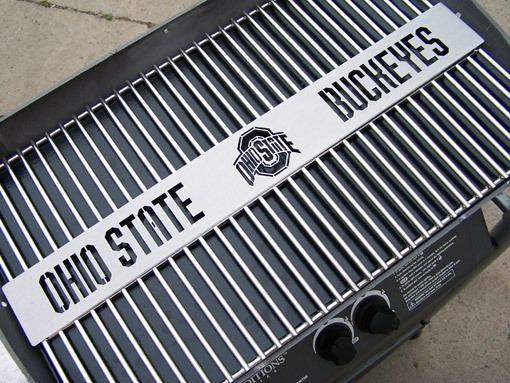 Now, nearly 100 years later, Yarder Manufacturing is now offering these custom grill grates to tailgaters and sports fans alike. The size of your grill does not matter and YM Sports Grates can make grates to fit grills as big as 36″ wide and 30″ deep. They even make round grill grates for those of you that do not want to give up your old charcoal grill. The way it works is you measure your grill, plug in the specs, tell them your favorite college and they will make a grill grate to fit your grill perfectly. 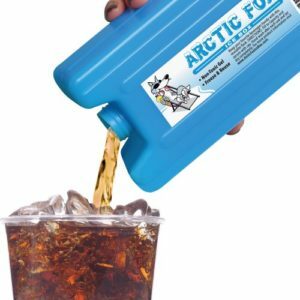 I measured my gas grill in my backyard to see what the cost would be for my own. 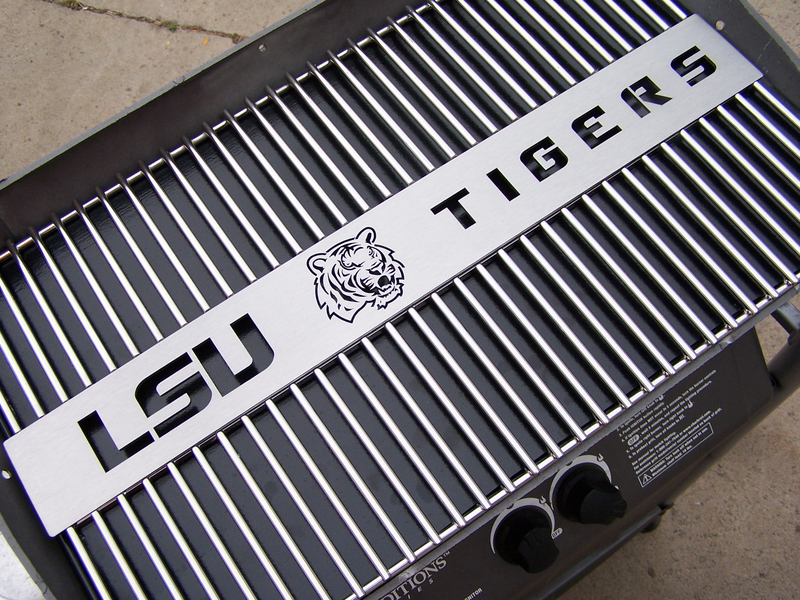 A 25″ x 18″ rectangular grill grate (I chose LSU for the hell of it) was $134.99 + $15.95 shipping. Larger sized grill grates are more expensive than the example I just provided. Obviously smaller grill grates are less expensive. And yes, they can make a grill grate to fit into your Freedom Grill. All grill grates are constructed using solid ¼” thick 304 stainless steel rods welded to a 10 gauge plate of 304 stainless steel. Each logo is completely lasered through the stainless plate to produce a perfect image. 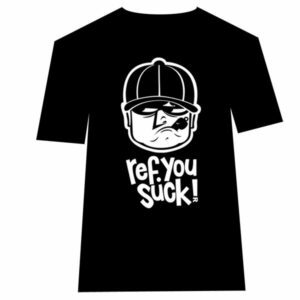 Right now Yarder Manufacturing has licensing agreements with 14 NCAA Universities and more are on the way. 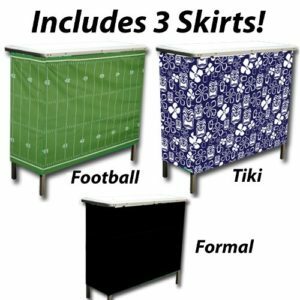 Tailgaters from Ohio State, Michigan, LSU, University of Florida, Purdue, Michigan State, Miami (Ohio), University of Louisiana at Lafayette, Bowling Green, Toledo, Georgia, Wisconsin, Boise State and Marshall all can order right now. More on the way include Minnesota, University of Miami, Kentucky, Auburn, Southern Miss, Nebraska, Penn State, Notre Dame, Florida State, Tennessee, Texas, Alabama, Illinois, Kansas and Oklahoma. Fans of other schools can also suggest which colleges should be added to the list to gain licensing agreements. 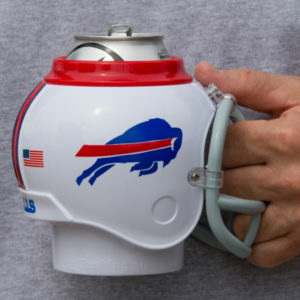 They even have plans to tackle licensing agreements with the NFL, Nascar and even Harley-Davidson. 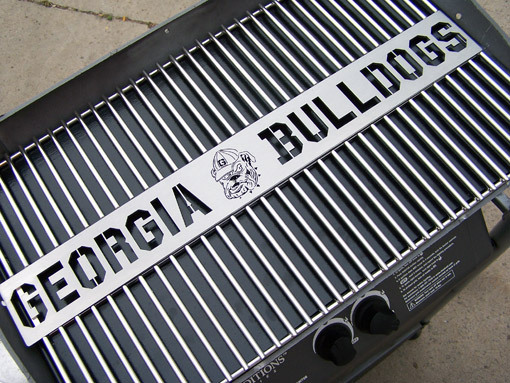 In addition to the current NCAA teams and the more to come, Yarder Manufacturing can also make a personalized grill grate. Whether it be your company name and logo, your initials monogramed or just your family name, Yarder Manufacturing will put it on a grill grate no problem. 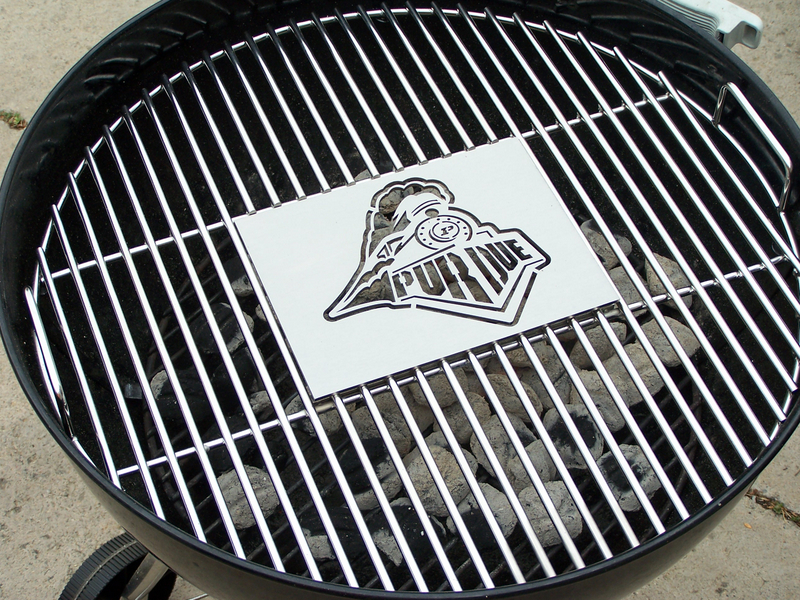 Check out their personalized page to see how a grill grate would look with your name on it. 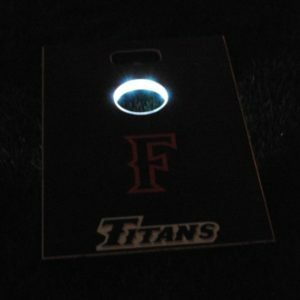 Here are a few videos from local news stations showcasing YM Sports Grates. If you are considering taking your tailgate to the next level, a grill grate from YM Sports Grates is the way to do it. 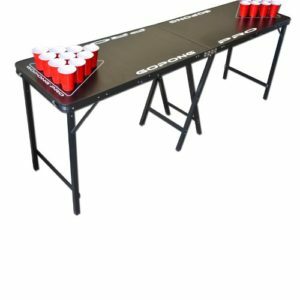 If you want to win that tailgating competition this little accessory will surely tilt things in your favor. Check out ymigrate.com to get your own or call (888) 475-5478 for more information. To Be Taken Seriously As a Tailgater, You Need a Freedom Grill.